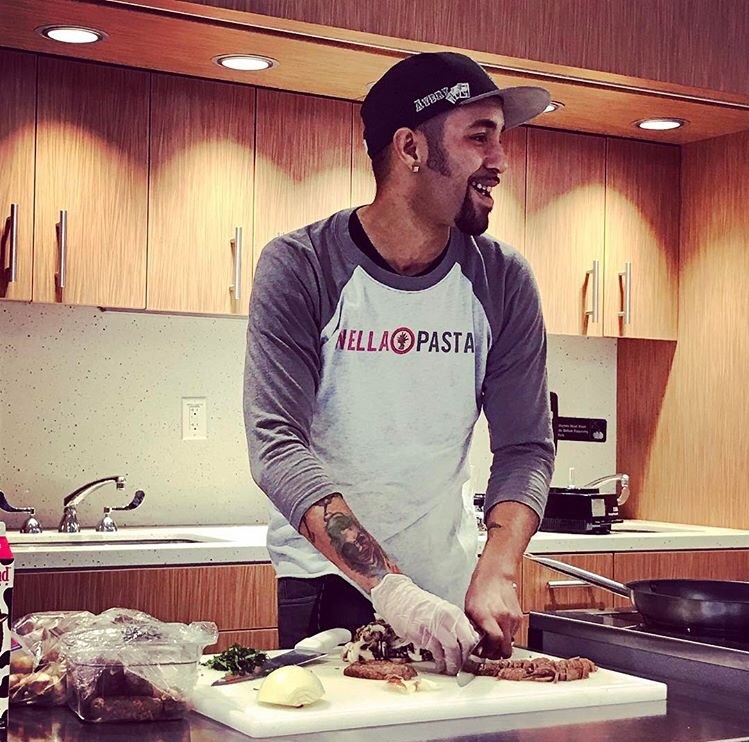 We love working with Avery, the Manager and Co-Owner, from Nella Pasta at their outpost at the Boston Public Market. Their pasta is delicious, inventive and downright awesome (they sell out of their rainbow pasta every year at Pride. Love that.) They are committed to making products with the best possible ingredients always keeping an eye on whats best for the Planet. Love that too. "Our name in Italian means “in the” because what goes inside the pasta is the trademark of our products. So what exactly is in our pasta? A unique, handcrafted mixture of produce, artisanal cheese, our signature wheat blend, and a profound respect for the freshness you find in Italy. We choose vegetables picked locally and in season whenever possible; roast, sauté or steam them for the best flavor, and complement them with creative and unexpected ingredients like specialty cheeses, fresh herbs, nuts and dried fruits. Then there’s our secret ingredient, a sustainable food movement, which is blended into each pillowy bite." "Whether it's introducing new foods to people, or taking your favorite foods to the next level- pasta is the perfect vessel. The kitchen is a playground...Have fun!" Haddock Florentine: Fresh fish, fresh greens and few generous pads of butter. What more is there? Fish Curry: This recipe looks formidable from an ingredients standpoint; but if you have a coconut milk and a decent curry powder you're half way there. Add the potatoes to carry the dish farther along in your week and to add some starch to the sauce. Beet and Spinach Salad: Beets pair beautifully with a variety of tastes from acids like Balsamic and citrus to delicious fats like blue cheese, feta, or mozzarella. Add some nuts, seeds or quinoa for texture and you're off to the races. Nothing beats a .... nevermind. Black Sea Bass with Tomato and Onion: Black Sea Bass is a mild fish with a firm texture and an almost sweet flavor. This dish is a simple and elegant preparation. You can muck around with the salad, using what you have in the fridge and omitting what you don't have. Buttered Potatoes: Sometimes the simplest thing is the best. Butter and potatoes. Yes, please. Donuts: Nothing to say here just nom them immediately, like Homer would. Fresh Pasta. Fresh Pasta is far more delicious than its supermarket counterpart, but its also more fickle and demanding. All it asks for is 90 seconds in boiling water and your undivided attention. Don't leave it hanging to get mushy and lose the glory of the al dente bite. Taste a bite after 90 seconds, if it isn't done, wait another 30. For God's Sake do not walk away. Your fresh pasta is much lighter than a dry pasta. It sings with a nice light sauce of butter or cream but save your meat bolognese for the dry version you have your shelf.